Cairney, T.H. (1988). The Influence of Intertextuality Upon Reading and Writing of Children Aged 6-12 Years. Paper presented at the 12th World Reading Congress, Gold Coast, Queensland, Australia, 5-8 July. Cairney, T.H. (1990). Intertextuality: Infectious echoes from the past, The Reading Teacher, Vol. 43, No. 7, pp 478-485. Cairney, T.H. (1990). Teaching reading comprehension: Meaning makers at work. Milton Keynes (UK): Open University Press. Cairney, T.H. (1992) Stirring the cauldron: Fostering the development of students’ intertextual histories, Language Arts, Vol. 69, No. 6. Cairney, T.H., Lowe, K., McKenzie, P. & Petrakis, D. (1993) Literacy & Youth: Empowering young people as they leave institutional care, Canberra: DETYA. Cairney, T.H., Lowe, K. & Sproats, E. (1994). Literacy in Transition: An evaluation of literacy practices in upper primary and junior secondary schools – Vols 1-2. Canberra: Department of Employment, Education & Training. Cairney, T.H. (1994). Family Literacy: Moving towards new partnerships in education. Australian Journal of Language and Literacy, Vol. 17, No. 4. Cairney, T.H. (1995). Beyond Tokenism: Parents as partners in literacy. Portsmouth (NH): Heinemann. Cairney, T.H. (1995). Pathways to Literacy. London: Cassell. Cairney, T.H. (1998). La Experiencia de la Universidad de Sidney (Nepean), Australia. In S. Malo & A.V. Jiminez (Eds). A Calidad en la Educacion Superior en Mexico: Una comparacion internacional. Mexico City: Miguel Angel Porrua, pp 489-510. Cairney, T.H. & Ruge, J. (1998). Community literacy practices and schooling Vols 1 & 2. Sydney: DETYA. Cairney, T.H. (2000). Beyond the Classroom Walls: The rediscovery of the family and community as partners in education. Educational Review. Vol. 52, no. 2, pp 163-174. Cairney, T.H. (2002). Bridging home and school literacy: In search of transformative approaches to curriculum. Early Child Development and Care. Vol. 172, 2, pp 153-172. Cairney, T.H. & Ashton, J. (2003). Three families, multiple discourses: Examining differences in the literacy practices of home and school. Linguistics and Education. Vol. 13, No. 3, pp 303-345. Cairney, T.H. (2003). Literacy in family life. In N.Hall, Larson & J. Marsh (Eds). Handbook of Early Childhood Literacy, London: SAGE Publications. Cairney, T.H. (2004). Literature and life: How text can shape lives and build communities of interest and belonging. Proceedings of the 2004 Australian Literacy Educators’ conference, Sydney, 4-7 July. Cairney, T.H. (2005). Literacy diversity: Understanding and responding to the textual tapestries of home, school and community. In J. Anderson, M. Kendrick, T. Rogers & S. Smythe (Eds), Portraits of literacy across families, communities and schools: Intersections and tensions, London: Lawrence Erlbaum Associates Inc, Publishers, pp 41-61. Cairney, T.H. (2008). Community literacy practices and education. In B. 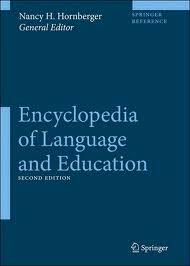 Street (Ed), Encyclopedia of Language and Education, London: Kluwer Academic Publishers. Cairney, T.H. (2009). Theorizing home literacy practices and mainstream schooling. In G. Li (Ed), Multicultural Families, Home Literacies, and Mainstream Schooling SUNY Press. Cairney, T.H. (2011). The place of literature in an increasingly virtual world Publishing Research Quarterly, Vol. 27, No. 2, pp 113-125. Cairney, T.H. (2011). Teaching Reading Comprehension: Meaning Makers at Work, 5th Edition. (Enseñanza de la comprensión lectora), Spanish language version, Madrid: Ediciones Morata. Cairney, T.H., Cowling, B. & Jensen M.J. (2011). New Perspectives on Anglican Education: Reconsidering Purpose and Plotting a Future Direction. Sydney: Anglican Education Commission. Cairney, T.H. (2011). ‘The Power of Story: How Literature Can Teach, Enrich and Transform’. International Journal of the Book, Vol. 8, Issue 2, pp 37-48. Cairney, T.H. (2011). ‘The place of literature in an increasingly virtual world’. Publishing Research Quarterly, Vol. 27, No. 2, pp 113-125. Cairney, T.H. (2012). Pedagogy, Formation and the Kingdom of God. Case Magazine, No. 31, pp 3-8. Cairney, T.H . 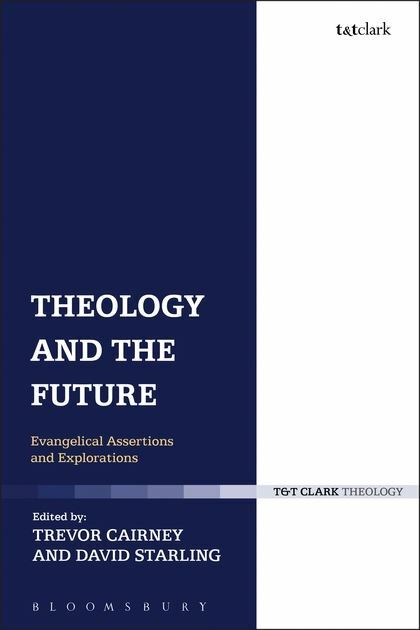 & Starling, D. (2014), Theology and the Future: Evangelical Assertions and Explorations, London: Bloomsbury. Cairney, T.H. (2015), ‘Family literacy research: Key trends and policy implications’, In Bridie Raban & Janet Scull (Eds), Literacy Research for Practice: Building an Australian evidence-base for teaching in the early years, Eleanor Curtain. Cairney, T.H. (2009). Preparing young writers for the transition to school. Practically Primary, February. Cairney, T.H. & Speak, G. (2000). Developing a ‘Smart City’: Understanding information technology capacity and establishing an agenda for change. Sydney: Department of Employment, Workplace Relations & Small Business. Cairney, T.H., Lee, R. & Artup, B. (2002). Transforming Penrith’s High Performance Computing (HPC) Node into an Innovation Precinct, Vols 1 & 2. Department of Transport and Regional Services: Sydney. Cairney, T.H., Sommerlad, E. & Owen, C. (2002). The Knowledge Based Economy: Implications for Vocational Education and Training: A Review of the Literature. Sydney: NSW Board of Vocational Education and Training. Belcher, R., Cairney, T.H,, English, B., Fischer, J. & Harding, S. (2002). Greater Involvement and Interaction Between Industry and Higher Education. Melbourne: Business Higher Education Roundtable. Cairney, T.H. (2004). The challenge of refurbishment: A discussion of issues, problems and ideas when embarking on a building program. Paper presented to the joint NZTEAP & AHAUCHI Conference, Dunedin, 30th August to 2nd September. Cairney, T.H. (2009). Racism on Campus. Southern Cross, 27 July, pp 18-19. New College formed the Centre for Apologetic Scholarship and Education (CASE) in 2002. I served as its Interim Director until the appointment of Dr Greg Clarke as its Director in 2003. I returned to the role (part-time) as Director of the Centre in May 2007. The Centre is attempting to bring biblical frameworks to our understanding of everyday issues. Using Christian faith and understanding as the basis of argument, CASE provides a Christian perspective on matters of relevance to all people. It attempts to engage people of all persuasions in dialogue, debate and discussion concerning contemporary issues of broad interest. For more information please visit the CASE website. My latest publications for CASE follow. Cairney, T.H. (2003). Reconnecting faith and scholarship Case Magazine, Spring, pp.4-5. Cairney, T.H. (2003). A just reform? Commonwealth changes to higher education under a Christian microscope. Case Magazine, Summer. Cairney, T.H. (2007). The Role Of Fathers: Aligning biblical wisdom and research Case Magazine, 12, pp 10-15. Cairney, T.H. (2009). God in the City, Case Magazine, 18, pp 3-5.